Even though the Independent Party candidate is dropping out of the governor's race, his votes will still be counted. SALEM — If you cast a ballot for the Independent Party of Oregon candidate in the governor's race and now want to vote for someone else, you're out of luck. 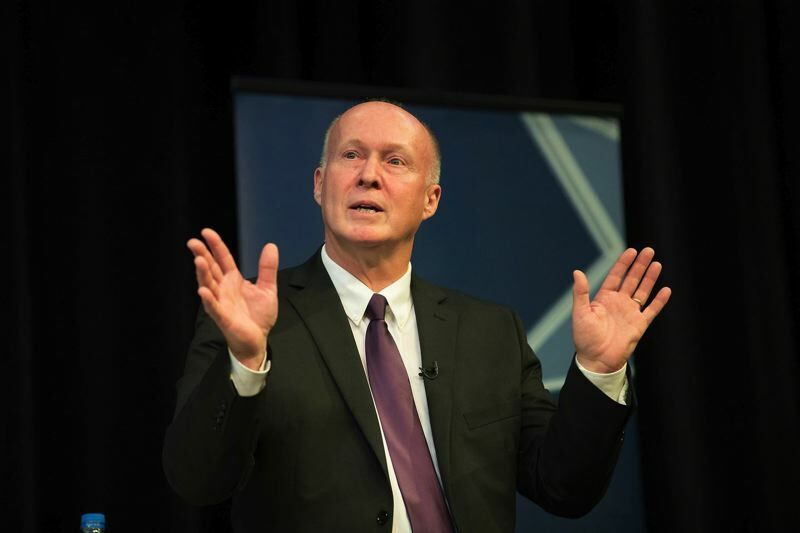 Patrick Starnes announced Tuesday he was dropping out of the race and throwing his support to Gov. Kate Brown. 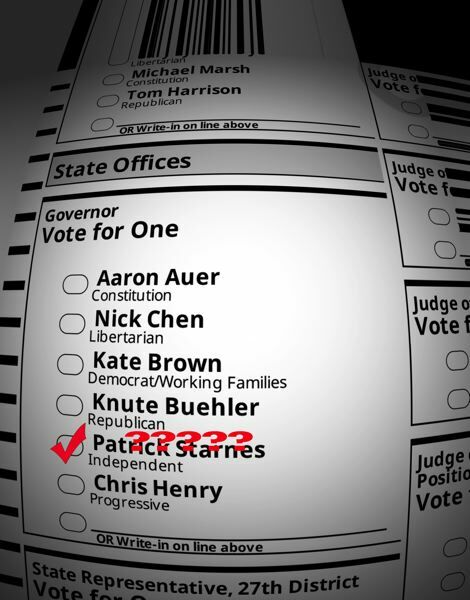 "There is misinformation being spread that voters who returned a ballot with a vote for Patrick Starnes can receive a replacement ballot," the state Elections Division tweeted Wednesday morning, Oct. 31. "That is incorrect. Once a ballot is returned it cannot be changed. Starnes has suspended his campaign but is still on the ballot." To fully withdraw from the race, state law requires that at least 67 days before the general election a candidate to file a written statement declining the nomination and stating the reason for withdrawing. Even though he is dropping out, votes for Starnes still will be counted. Elections officials said that if he happened to outpoll Brown and state Rep. Knute Buehler, the Republican nominee, he would be entitled to take office. Oregon is a vote-by-mail state, so voters can cast ballots before Election Day. At the time Starnes announced he was bowing out, nearly 600,000 ballots had been returned. About 28,000 ballots were sent back by voters registered with Oregon's Independent Party.